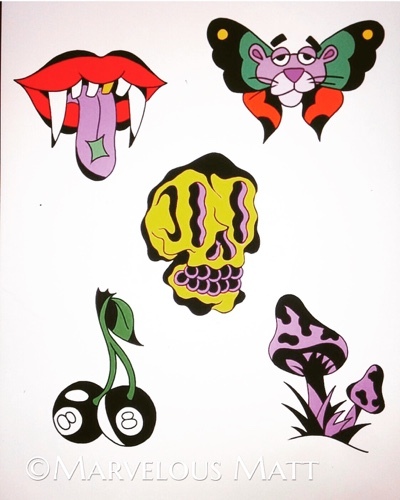 Creating custom commissioned tattoos is done one design and one client at a time, and due to each tattoo literally being hand made, appointments fill well in advance. My books are currently closed and I’ll reopen bookings for *new* clients on 11.1.18, scheduling for June through August 2019. 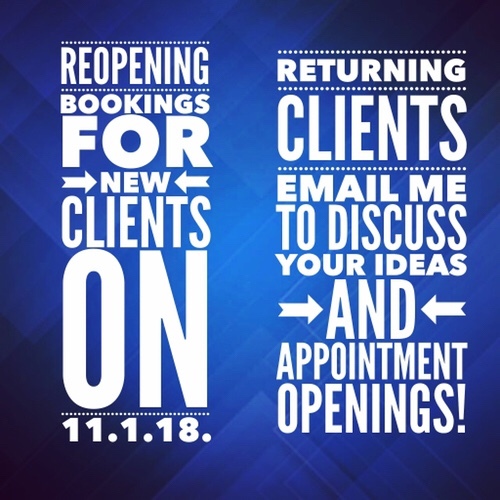 In the meantime, for *current and returning* clients – email me to discuss the project you have in mind and appointment openings. 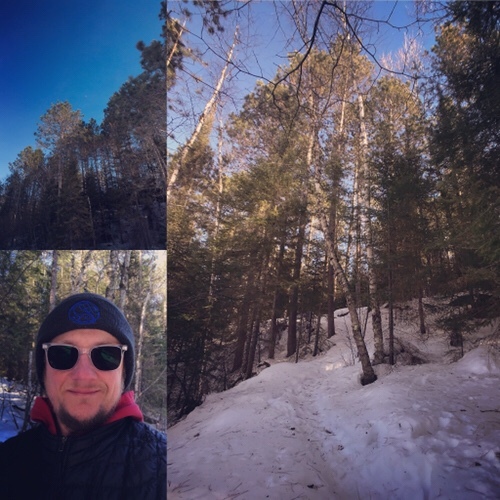 I’m fortunate to work with people who value the creative process. 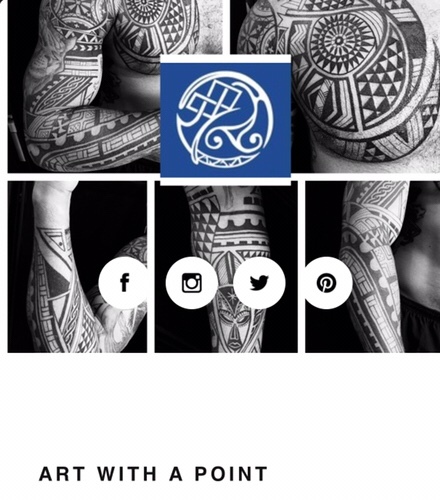 Thanks for your ongoing support of art, self expression and my work at Art With a Point! Back in the day when I started getting tattooed, people always asked, “Does your Mom know? 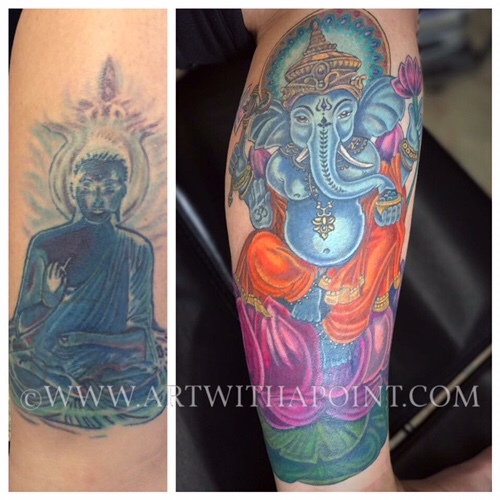 !” Now kids look forward to getting tattooed JUST LIKE MOM. If the Mom figure in your life has ink on their mind, Instant E-Gift Certificates are available! Please read Tattoo Inquiry and Appointment Request Info for current timing of appointments. Instant E-Gift Cards are available here! Update on appointment scheduling: I’m currently booked through the fall of 2018, so in order to focus on completing current pieces in progress, for the duration of 2018 I won’t be taking on new clients. If you’re a return client with a piece in progress, or a return client interested in booking new work, email me to arrange an appointment. If you’re a new client interested in a future tattoo, stay tuned! I’ll post updates when I re-open my books. Thank you for supporting my work, small businesses and independent artists! Warm up in an AWP tattoo hoodie! 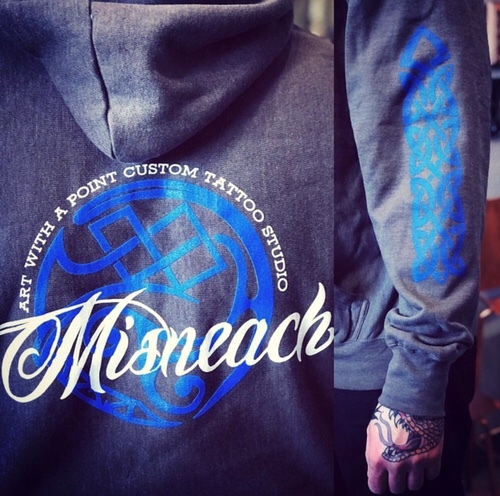 Studio logo and Gaelic “Courage” with knotwork tattooed down the sleeve. 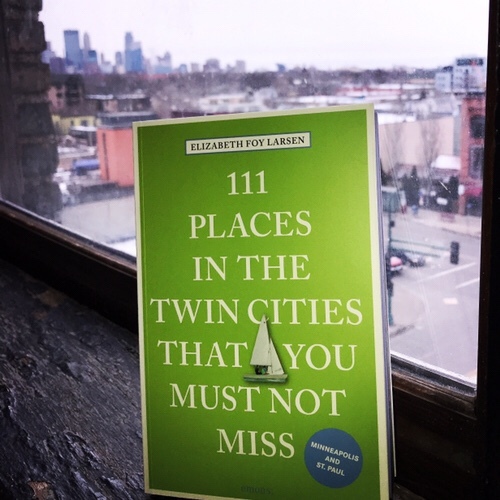 Printed locally in Minneapolis. Get yours here! Studio beanies! These hats will keep your noggin as warm as a fresh tattoo. Ok. Maybe not that warm. But CLOSE. 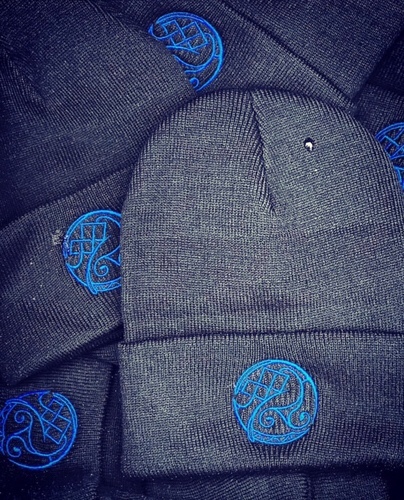 Black knit beanie hat with electric blue @artwithapoint logo embroidery. Locally made. 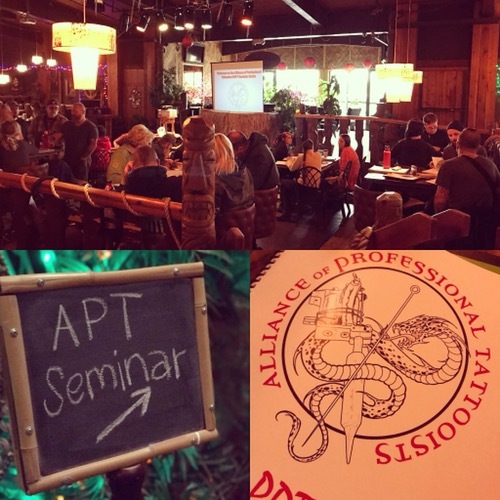 Sixty of Minnesota’s tattoo artists and health officials attending continuing education at the #allianceofprofessionaltattooists APT PDTT Seminar! Thanks to #chuckhouseholder for instructing and to #psychosuzis for hosting!